I've had a couple of bad nights that have had me up while the rest of the house was sleeping. I have a new nook in the sunroom at the back of the new house, with a comfy couch and a rug, so at 2.30am yesterday I settled in with this little gem of a book. I've read it more times than I can remember now, but there's something inherently fresh about Capella's writing that makes it just as enjoyable to re-read as it was to read for the first time. I bought it in a bookshop at Kuala Lumpur international airport where I had a stopover from Rome on my way back to Adelaide in 2005. I'd spent a month based in Florence doing an art history course at The British Institute, living in a studio apartment in a medieval building around the corner from the Duomo, shopping for food each day like a good Italian housewife at the huge two storey undercover market and little local shops, and generally immersing myself in an Italian lifestyle. I didn't want to leave - I really didn't, and going back is something high on the bucket list. Laura Patterson is studying art history in Rome. She's decided that from now on she'll only go out with a man who can cook. Tommaso Massi, handsome and silver tongued, tells Laura that he's a chef at one of Italy's best restaurants. In fact, he's just a humble waiter. It sounds all very light and fluffy. Light it is, but fluffy, not so much. This is a book that was written for people to enjoy. Capella has lived in Rome and knows it well, and I found - particularly on that flight home from KL to Adelaide, fresh from Italy - that the flavour of the city was authentically drawn, heightening my homesickness for Florence! He also knows his food, and the book is (and can be, literally, given the recipes for and detailed descriptions of various dishes) a feast of Roman cuisine that has me heading to the kitchen post-read to create something similar. Laura is in Rome for a year of study that she won in an essay competition. After a few disastrous dates with local boys, she's a bit over the general attitude they have that an American girl is fair game, so in a telephone conversation with a girlfriend in Milan, overheard by Tommaso in a cafe, she decides that a chef - who is used to being creative, taking time and savouring his ingredients - might be different, so she's going to limit her dates to men who can cook... Tommaso is typical of the type she's been put off by, even more so, because he actively pursues tourist girls, not wanting a serious relationship, and has an impressive array of photos of his conquests pinned up on the inside of his wardrobe door. He is so taken with Laura that he tells her he's a chef, inviting her to let him cook dinner for her. Enter Bruno, Tommaso's best friend and flatmate, who IS a chef... Tommaso talks Bruno into cooking for him and allowing him to pass off the food as his own. Doubtful, but loyal to Tommaso, Bruno agrees, and creates a delicate springtime feast of local specialities. The evening is a huge success - Laura is a dedicated foodie, and the meal awakens more than just her tastebuds. Encouraged, Tommaso decides that the next meal should be seafood, fresh from the Mediterranean. This means taking Bruno along to do the actual cooking and Tommaso enlists Laura's help in bringing along HER flatmate, Judith, as a date for Bruno. When the girls arrive to meet the boys, Bruno is stunned to see that one of them is the girl he's seen a number of times in local food markets and has lost his heart to - although he's never had the chutzpah to say anything to her. Sadly, it's not Judith who's the mystery girl, it's Laura... His cooking - masked by lots of theatrical faux prepping by Tommaso - is, once again, a huge success. He rationalises that if he can't have Laura for himself, he can at least cook for her. This is a very bald review of this lovely book. The joy of reading it is in all the little details; the wonderful Roman insults and funny lines, the food, the side stories (such as the cafe owner who sells Bruno his van, who is on a life long search for the means of making his coffee machine produce the best ristretto in Rome), Capella's understanding of Italian, and particularly Roman, culture, and the wonderfully balanced mix of humour, romance, and ordinary people. 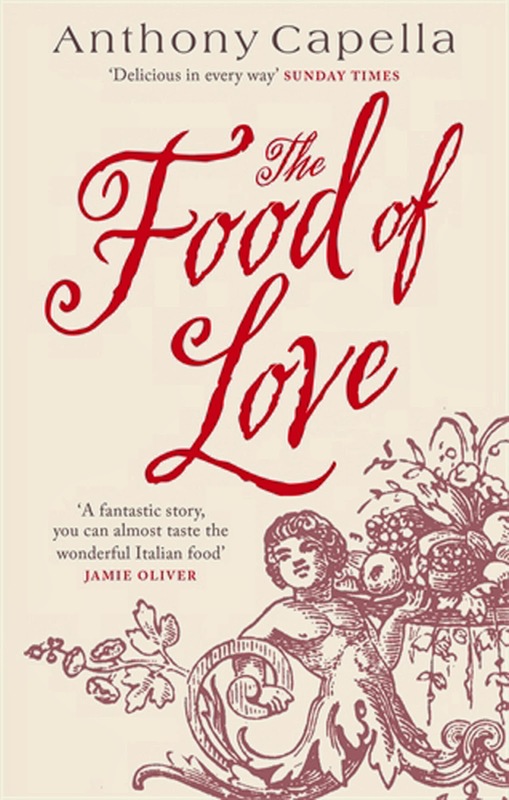 If you love food, read this book. If you love Italy, read this book. If you just love a delicious romp, read this book! Goodness me! Never heard of it. But I will look out for a copy. I really didn't do it justice, I'm afraid - I was so determined to get a post up, despite brain fog and exhaustion, NOT by best work... However, DO try and find a copy - it's just the best read for an afternoon... 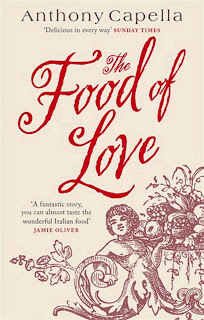 There's a second book now, a beast of a different colour - still Italy and food, but set during the war and much darker. Not sure where my copy is - I went looking for it this morning and couldn't find it. i think DB had it, so goodness knows where it's landed since the move. When I've tracked it down I'll read it again (cos I want to!) and I'll get a review up on it.